Collection of 36 original colour photographs, including the Reading Room and first exhibitions, Whitehouse Cattle Show, houses Taigh a’ Bhochdainn and Lag nan Cruach before renovation, ploughing demonstration, Tiree district nurses, Tiree football team ca. 1999. Most are catalogued separately (see 2018.54.5 – 27). 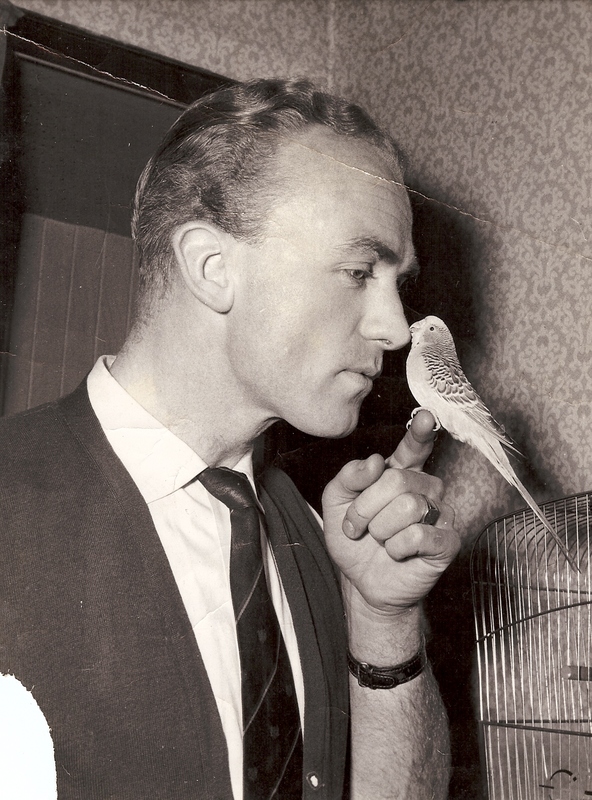 Printed email containing information and 26 colour photographs of ex-Scotland footballer Johnny MacKenzie (1925-2017), Caoles, as a guest of honour at a friendly football game between Derry City and Barcelona, at the Brandywell in August 2003. One accessioned individually (see 2018.29.1 – Y100), the others saved as a computer file. 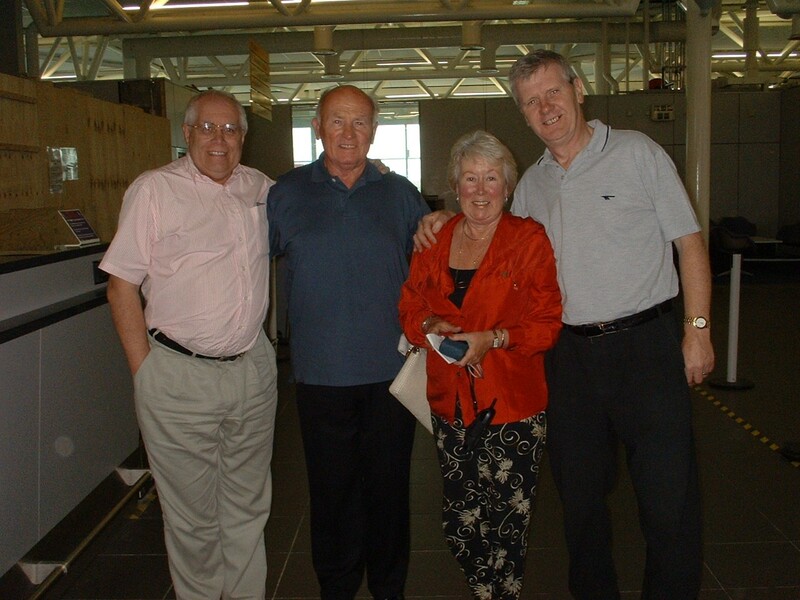 Colour photograph of ex-Scotland footballer Johnny MacKenzie (1925-2017), Caoles, with his wife Betty and two Derry City supporters at a friendly game with Barcelona in the Brandywell on 12th August 2003. Black & white photograph of a football team from a plantation in Malaya run by Lachie MacKinnon, Hillcrest, in 1955. Lachie is seated centre-front with his twins Charles and Iain. 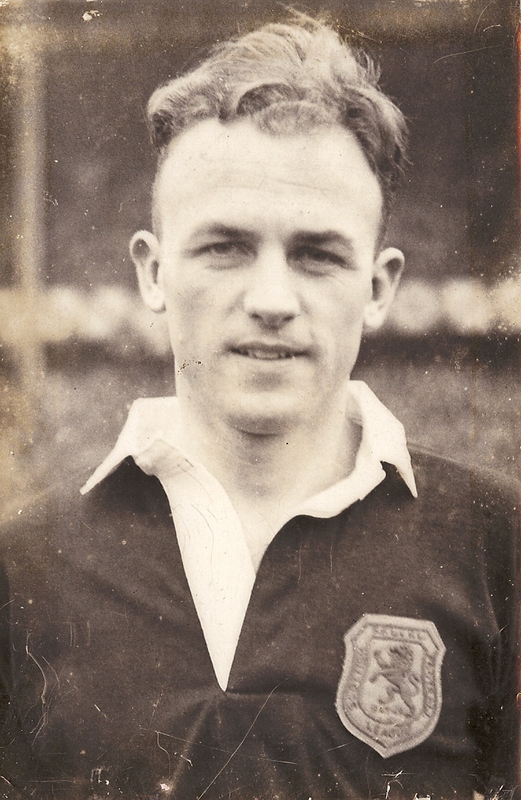 DVD of video footage of Johnny MacKenzie of Caoles, `The Firhill Flyer`, playing football for Scotland at Hampden in 1954 (Scotland v Hungary) and 1956 (Scotland v Austria), from Pathe News film reels. Sepia photograph of a group of boys posing with a football at Ruaig (School?) 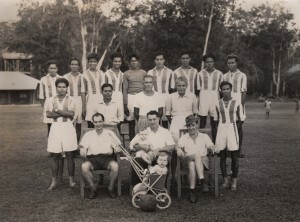 in 1928. 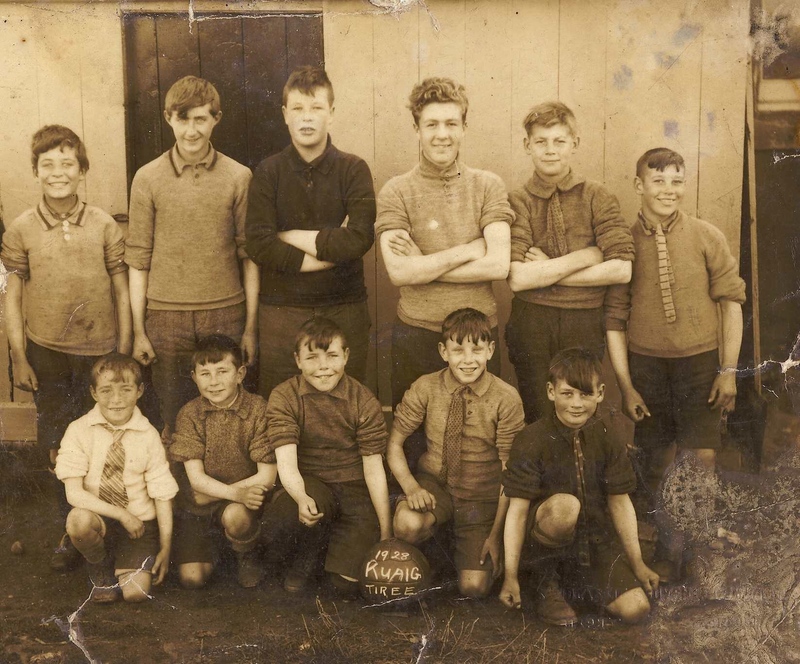 L-R standing: Donald MacLean, Sliabh, Ruaig; Lachie MacLean, Vaul; Donald MacDonald, Brock; Alfie Walker, Ruaig; Archie MacFadyen, Caoles; John MacFadyen, Caoles. L-R crouched: James Graham, Vaul; Iain MacLean, Caoles, Willie MacIntosh, Caoles; Jim MacLeod; Lachie MacFadyen, Caoles. 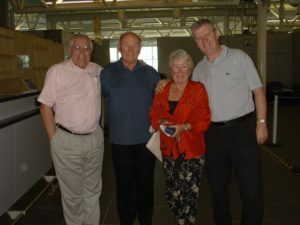 Off picture on the left is Headmaster Mr MacLeod. Black & white portrait photograph of footballer Johnny MacKenzie, Caoles, in the 1950s. Johnny played O.R. 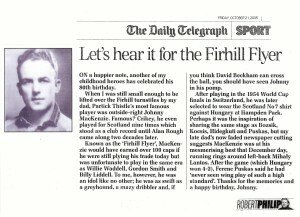 for Partick Thistle and Scotland, and was known as The Firhill Flyer. 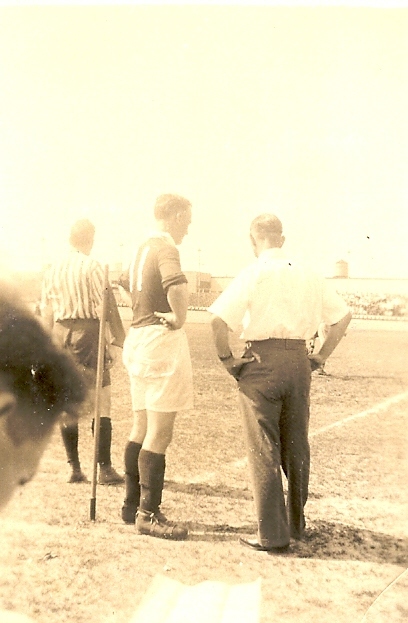 Photograph of footballer John MacKenzie, Caoles, on the football pitch in the 1950s. Black & white photograph of footballer John MacKenzie, Caoles, discussing tactics at the corner of the football pitch in the 1950s.